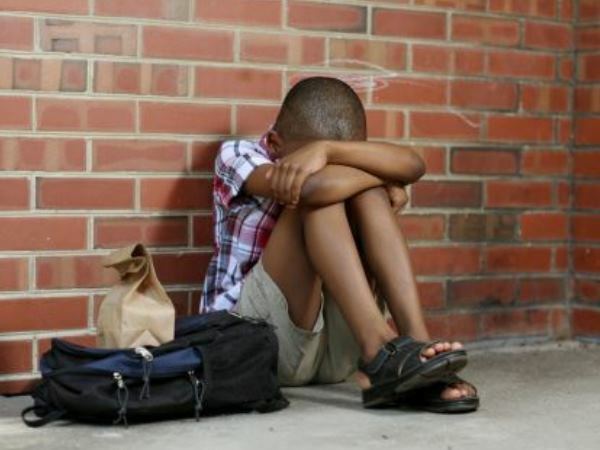 Bullying is more detrimental to mental health than abuse or neglect, a new study claims. According to research by Warwick University, children who suffer through bullying have an increased risk of developing mental health issues compared to those who are abused or neglected. They are five times more likely to suffer from anxiety and nearly twice as likely to have depression. The study also found they were more likely to self-harm at 18. Professor Wolke hopes it will change the way governments deal with protecting children, inciting them to focus more heavily on the effects of bullying. Those who were bullied as well as maltreated also had an increased risk of mental health issues, however it wasn't any higher than that of children who had been 'only' bullied. Being abused and neglected alone showed no link to psychological problems, the research claimed. Published in The Lancet Psychiatry journal, the study focused on around 5,500 children and was the first to look directly at the link between mistreatment by adults and bullying by peers and mental health issues. 4,026 of the children came from the UK Avon Longitudinal Study of Parents and Children, which saw parents report on maltreatment between the ages of eight weeks and 8.6 years and kids' reports of bullying at ages eight, ten and 13. There was also information from 1,420 children from the US Great Smoky Mountain Studies, which reported on mistreatment and bullying between the ages of nine and 16. "The results are consistent across the two cohorts (ALSPAC and GSMS) showing children who were bullied by peers only were more likely to have overall mental health problems, anxiety, depression and self-harm or have considered suicide than those who were neither bullied nor maltreated," Professor Dieter Wolke explained. "Children who were both maltreated and bullied were also at increased risk for mental health problems but the effects were not higher than those of being bullied alone. "By contrast our results did not show any increased risk of mental health problems for children that were maltreated, but not bullied, in the UK, but showed an increased risk of depression according to the US cohort. "Being bullied by peers had worse long-term adverse effects on young adults' mental health than being maltreated by adults."